A lawyer has confirmed that Osama Bin Laden’s three wives and two of his daughters have been detained and charged for illegally crossing Pakistan. The sentence for the women includes a 45 day jail sentence and a fine of 10,000 rupees each. They have been in custody ever since a U.S. Navy Seal team killed Bin Laden last May. The widows have been held with their children in Islamabad in what has been described as a “sub-jail.” Two of the wives are from Saudi Arabia while the third and youngest wife is a citizen of Yemen. Upon their release, each woman will be deported back to their country of citizenship and be reunited with their families. While it is unclear exactly how many children Bin Laden fathered, he is believed to have at least 10 between the three wives. Bin Laden’s wives and children were scattered across the region, and he would meet up with them during his travels. 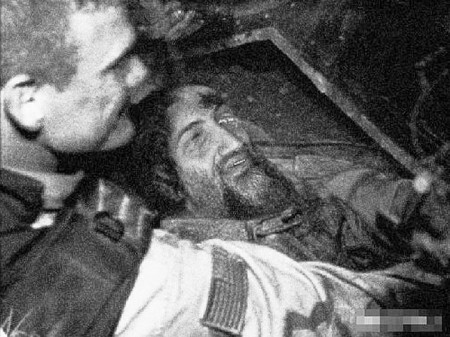 After nearly a 10 year man hunt, Bin Laden was finally located and killed by Seal Team 6 back in May of last year. He was originally believed to be taking refuge in a cave along the Afghanistan and Pakistan border. Intelligence eventually pinpointed his location at a compound in Abbottabad. Osama Bin Laden is believed to have a total of five wives and was living with three of them at the time of the raid. It was reported that there was some bickering among them, especially between his oldest and youngest wife. Some of his close aides were also concerned that his eldest wife was plotting to betray him, though Bin Laden brushed aside any concerns of a double-cross. Whatever the situation was in the Bin Laden household, all that is certain is that the guy is dead and that leaves one less terrorist for the world to worry about.